Binary Scam Alerts is posting a SCAM warning in regards to the TSI System and Software (AKA TSI System App and Autotrader) as well as Michael Jefferson the cheap Fiverr actor. After reviewing this system and conducting a full investigation, our team of researchers has concluded that not only is this software inaccurate, it is also dangerously misleading and deceptive. Furthermore, it is designed to intentionally take inferior trades and cause you to lose your money. Taking a look at the screenshot below you don’t have to be a genius to understand this software is a total mockery and just tacky. I know it may not be the worst adjective or description, but I must call it like I see it and this thing has CHEAP written all over it. It’s plain to see the intent of the people behind this production was to invest the minimum amount of money, in order to collect the maximum amount of cash. So they just jotted down a few rehearsed lines, got a cheap actor and put together a sleazy sales video about some stupid app that makes millions. In the video above you will see the same actor selling the same horse manure for a different software called Golden Binary, and again for the Golden Paradigm. I must apologize to my members, there are so many scams going on these days and I can’t cover everything. This software is presented as an Automated trading “mystery tool designed secretly by the richest people in the world to generate unlimited wealth”. In fact, this system is about as fake as it gets and to be quite honest, after we saw the presenter our staff did not even bother digging in deeper and actually testing the software. Our initial findings confirmed our suspicions and made continued efforts redundant. Furthermore, this guy is saying that rich people are not smarter than the average person. I happen to disagree with that and I am not the only one. To become wealthy you have to be very smart and savvy, if it was easy everyone would be a millionaire so whoever wrote this script can go shovel cow chips. Anyways, if you bought into this thing you can toss the charting tools you have or any excel spreadsheets with candlestick charts and impressive technical analysis. All that won’t help you when you are stuck with a shady broker who is intentionally delaying your withdrawals despite the fact that you have produced all the necessary documentation. You primary concern needs to shift from profiting with binary options to making a fast exit while holding on to your money. Yes it is, but you must fund a new trading account in order to activate the software. That will cost you at least $250. These include but are not restricted to My First Online Payday, Trade X Confidential, Limitless Profits, Millionaire’s Blueprint, Trade Tracker Pro, Binary App 810, TrianaSoft, the Amissio Formula, Tauribot, Citidel, Push Money App, Centument, Insured Profits with Dave and Ginny, Binary Matrix Pro, and The Free Money System with Walter Green. Every day new systems keep popping up like mushrooms in a rain forest. The vast majority of them are scams and don’t work. 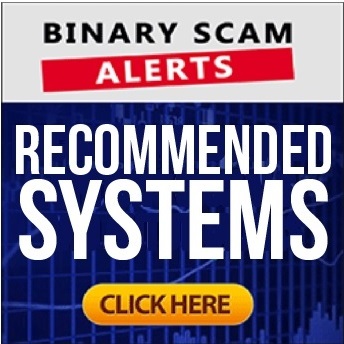 Binary Scam Alerts endorses The Binary Profit Method as it’s preferred signals tool. If you are looking for an Auto-trader, please check out our Virtnext review. The TSI System, Software, App and Autotrader as well as Michael Jefferson is a low-level binary options investment scam. There is nothing genuine, truthful, or honest about this cheating app, besides the section in the terms and conditions where it explained how they take no responsibility if you lose your money. We are warning our members and subscribers to stay away from this deceitful and misleading software. Please make sure to join our Facebook page and subscribe to our YouTube Channel as well.